A root canal is one of the most common dental procedures performed. A root canal is a dental procedure that preserves a natural tooth that has had its pulp damaged by injury or disease. At the center of your tooth is pulp. Pulp is a collection of blood vessels that helps to build the surrounding tooth. Infection can be caused by trauma to the tooth, deep decay, cracks and chips, or repeated dental procedures. If it is recommended that you need to have a root canal, generally it is because we are trying to save your tooth from needing to be extracted which can lead to the need for a dental implant or bridge. During a root canal, the injured pulp is removed and the root canal system is cleaned and sealed. Root canals may be completed in one or more visits depending on the treatment required and the success rate is usually around 90%. 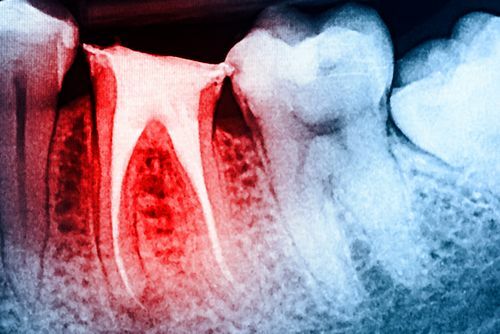 Following a root canal, it is common to need a crown on that tooth to protect and preserve the tooth structure over time. If you have any of these symptoms, please call our office immediately at 480-783-7192 so you can be evaluated.